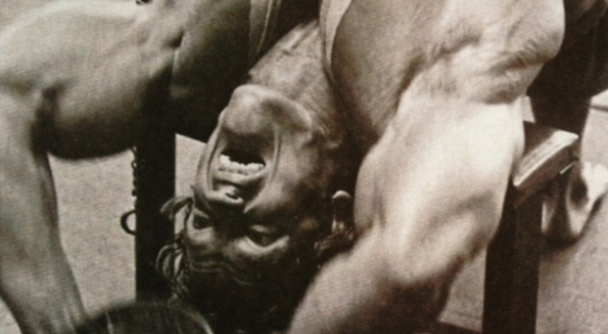 It will never be as popular as the bench press or as glamorous as any curl movement. But it remains one of my favorite exercises and I’m determined to make sure it doesn’t fall by the wayside. I’m talking about the dumbbell pullover, a staple in the Arnold-era and one of my favorite unique movements in the gym. For whatever reason, this gem of an exercise seems to have fallen out of people’s routines. Maybe in the days of fancy machines and new-age workouts, it’s simply become forgotten. I’m here to tell you to ignore that type of thinking. Don’t forget about this exercise because adding the dumbbell pullover to your routine will allow for some noticeable improvements that no other movement creates. Let’s think about it: If it’s good enough for Arnold, it’s definitely good enough for you. 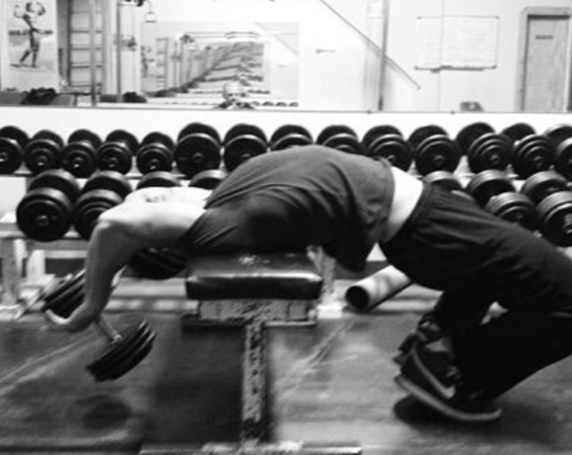 The cross-bench version of the dumbbell pullover was made popular in the 1970s Golden Era of bodybuilding, and Arnold especially, as it was used it most often as a brutally effective finisher in his now famous double-split routines. Arnold always raved about the benefits of the movement, and even used to say that he thought the pullover even expanded his rib cage. I’m not totally sure the science is there for that particular benefit when it comes to pullovers, but I do know there’s a laundry list of items that makes this an effective weapon in your arsenal. If done properly, it hits everything from the bottom of your pecs to your abs, lats and triceps, working all of these muscles in a beneficial and unique way. Knowing this, how is there anyone not doing pullovers? Here’s one theory I came up with – perhaps it’s too effective for the entire upper body. Because it hits so many different areas, people aren’t sure where to fit it into their routines, so they simply leave it out. Training big muscle groups like chest and back together usually isn’t the norm, hence the dilemma that is created when it comes to pullovers. But my advice - and the easy solution – is to just pick a day and do it. The key is just adding it to a day and getting the work done. What’s worked best for me if we’re not doing push/pull workouts (chest and back together) is to make sure we do it on chest day. I keep the reps high, often in the 12-20 rep range, and I really focus on getting a deep stretch for every set, usually doing 3-4 sets. It’s helped make a huge difference in my physique, improving areas that are hard to target and turning them into strong points. My serratus muscles are much deeper and really stand out, and I truly thinks that’s from years and years of pullover work. At the same time, it’s conditioned my lats, creating some freaky lines and muscle. I can definitely say those two areas became strengths and started to pop when I added pullovers. But there are a few big keys when it comes to this movement. A lot of people rush through it and don’t focus on getting a proper stretch. Really feeling that deep stretch is a must with these. Also, it’s highly important to keep your hips and head down, which ensures you’re not just swinging the weight. With your hips down, you’ll really feel your lats working and the gains will come. When it’s done correctly, you’ll feel muscles in your upper abs, lats and triceps working hard, giving you a pump that’s hard to be re-created with any other movement. Whatever your reason is for not doing them, it’s not a good one. Do the right thing and throw these into your routine, and don’t let the wonder of the dumbbell pullover go away. Cory is one of the most unique stories in the fitness industry today. A former underground coal miner, Cory diligently saved money to start his first small gym. He opened it when he turned 20 and, in the last 14 years, Cory has seen every aspect of the fitness industry. Cory has his Exercise Specialist certificate from Columbus State and is also NESTA nutrition coach certified, Westside Barbell certified and a Cross Fit level 1 trainer. Cory is also the Co-Founder of Musclepharm, which has quickly become one of the hottest brands in Sports Nutrition, grossing an impressive $78 million in just its fourth year of business. He has achieved a powerlifting total of 1755 pounds, weighing just 208, putting together a career-best 700-pound squat. Most recently Cory was featured on the cover of the popular Inside Fitness Magazine. Cory eats, breathes and lives fitness everyday, helping people reach their goals through his free plans on social media especially his Twitter account that has more than 250,000 + followers.